When the leaves start falling, fourth quarter results are coming due, and the holiday season is around the corner, many people start experiencing stress at work and if these can be identified early, action can be taken before the pressure builds and becomes a problem. The average direct cost of absenteeism to the Canadian employer is $3,550 per employee per year (Watson Wyatt). The annual cost to Canadian companies due to stress-related disorders is $12 billion; In Canada, absenteeism due to stress has increased by over 300% since 1995. How do you know if you or your employees are stressed and if action should be taken? As stress can show itself in many different ways, managers need to keep their eyes open for changes in the way people behave that could be linked with excessive pressures. I have outlined below a few symptoms to watch out for in your employees who may be suffering from or feeling the effects of stress. If you observe that work or aspects of your employee’s work brings on or make these symptoms worse, make sure you address it with the employee. It may be that some action taken at an early stage will ease the stress and reduce or stop the symptoms. Deal with the issue before it becomes a bigger problem. It is not up to you as a manager to diagnose stress, leave that to the professionals, but if you observe that something is not quite right with your employee, you should take prompt action by meeting with your employee, and focusing on his or her job performance by pointing out that there has been a change in the performance. Identify what you have observed, and ask the employee what has changed to affect performance. The employee will usually be forthcoming about the circumstances that have affected the work performance and created the stress. Provide support to the employee by offering the employee the opportunity to address the issue with for example, a professional counsellor. Do not focus on the personal problem but on the effect of the problem on the employee’s performance. You and your employee can mutually agree on a period of time where you will meet again and revisit the work performance. Your employee will see that by attending to his or her personal issue will lessen the experienced stress and eventually increase productivity. 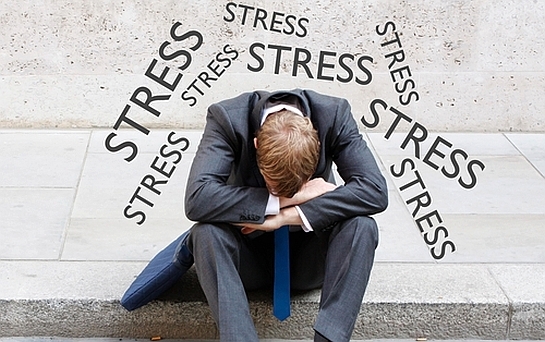 Do you think your employees are experiencing symptoms of stress? If so, whom do they normally reach out to? I look forward to hearing your feedback in the comments below. Categories: Anxiety, EAP, Mental Health, Wellness | Tags: Emotional Wellbeing, Mood, Stress, Stress symptoms, Wellness | Permalink. We all know it’s hard to stay positive. There are hundreds of things that can “bring us down” and turn our daily outlook towards the negative. 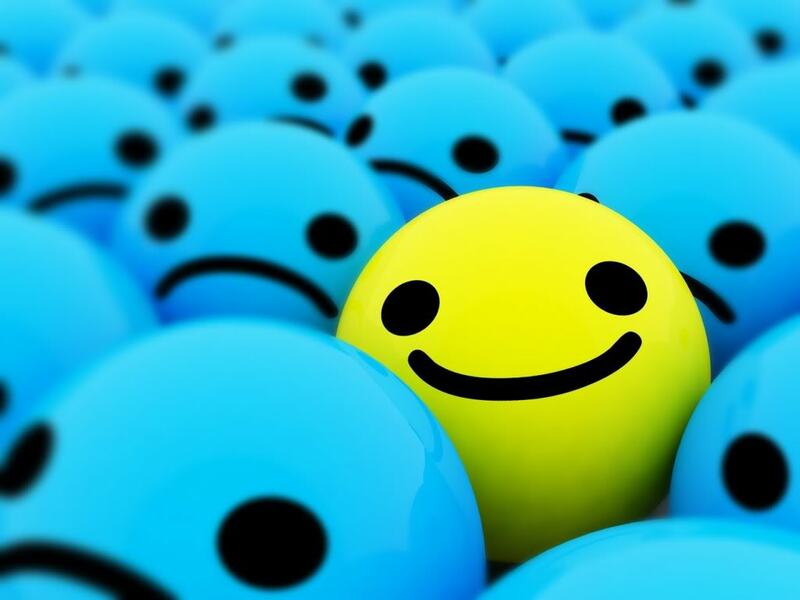 As an owner of an EAP service company, I know just how important staying positive can be and not only for myself, but for my employees and most importantly for my clients. Whether you are dealing with employees, students, vendors or clients, by focusing on the positive one can bring about positive results. This theory is based upon the idea that people and their thoughts are both made from pure energy, and the belief that ‘like energy attracts like energy’. I have personally put this idea into action by believing that my clients can ‘hear’ my smile over the phone and so I always make a point of smiling (even if it is in my mind only) when I am speaking to them on the phone. Be Prepared. Preparation can help you stay positive in your business because it allows you to anticipate what could happen and prepare for that possible outcome. And when you stay positive, good things tend to happen. Persevere. You’re not going to get it the first day, but you plant a seed and you water it and you continue to grow that idea. Have a Plan. Remember that there is a difference between a wish and an intention. A wish is often a hope to fix something that isn’t working in your life. An intention implies a plan to get you where you want to be. A plan helps you stay positive about your future. Cut yourself some Slack. 80% of the things we worry about do not occur and for the other 20%, well, there are just some situations that are just out of our control. Period. Above all, never forget that you are the person in charge and you ultimately are the person setting the course for your business and your life. You don’t need to let the negative thoughts or opinions sway your course. Do you apply the principles of positive thinking in your business? If so, how has this helped you in your business? I look forward to hearing your feedback in the comments below. Categories: Mental Health, Wellness | Tags: Positive thinking, staying positive, Wellness | Permalink.